OPEN House Sunday 12-1:30 Immaculate, move in condition. This central Dalton home offers open concept with a bright vaulted ceiling kitchen boasting skylights and cherry cabinets, newer laminate floors. dinning space open to living room and french doors to 3 season sun room and deck. 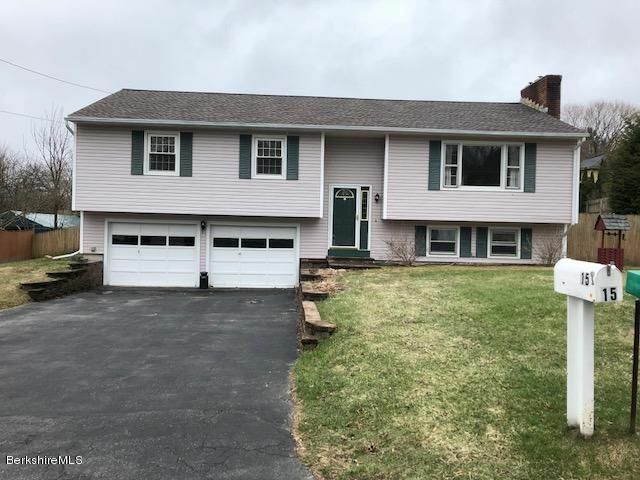 Home is spacious and offers 3 bedrooms on main floor 2 full baths and offers family room, 4th bedroom and full bath with laundry on ground level; perfect for in-law quarters. Home equipped with whole house-fan. Heated in-ground pool, fenced yard, & 2 car garage.